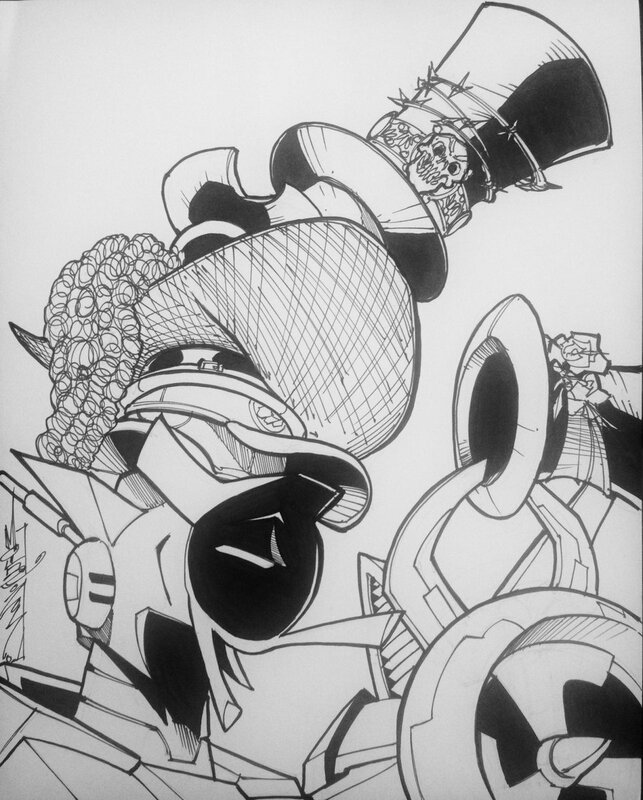 I commissioned Alex Milne at TFNation for Whirl wearing a stack of hats. There's 8 hats. Best decision ever made. I mean, if I had to describe Lockdown’s style, that sounds about right! Yo, anyone plan to cosplay at TFN? And if yes, do you plan to attend the cosplay competition? Trying out my luck and signing up for it but I've never done such a thing before so... Anyone have some experience? *waves back* I might take some time to warm up but expect some arts from me soon!